A letter of intent is used by a buyer and a seller to memorialize their intent to negotiate toward a sales transaction, and includes a general description of some of the fundamental terms of the deal. Naturally, any document that illustrates intent in an M&A transaction can have far-reaching implications for both parties. Smart Business learned more from Kegler about how to approach a letter of intent from both a buyer’s and seller’s standpoints.How should a business negotiate and craft a letter of intent? The primary function of a letter of intent is to provide each party with some assurance that they’re in general agreement regarding the basic terms of a transaction prior to either party spending significant resources on comprehensive due diligence and preparing and negotiating definitive agreements. A seller’s bargaining power is usually greatest prior to signing a letter of intent that contains any type of exclusivity provision. Accordingly, a seller generally should attempt to negotiate a letter of intent that is detailed and explicit with respect to the material terms of the transaction. By contrast, a buyer’s bargaining power usually increases after signing a letter of intent that includes an exclusivity provision. Consequently, a buyer will often prefer to negotiate a non-specific letter of intent, using general language and deferring the most difficult negotiation issues until a later date. Of course, there are exceptions, such as when a transaction will require a unique or material covenant from the seller, in which case a buyer may prefer to address that issue early to be sure that the seller will agree before proceeding further. What are the risks of using letters of intent? letter of intent discussions too early in the process, before any momentum and trust has developed between the parties, which may result in a premature breakdown in negotiations. What terms should be included in a letter of intent? Insist that the letter of intent specifically addresses the form of the transaction; sellers generally prefer to sell stock rather than assets. Negotiate the purchase price and any details regarding any pre- or postclosing purchase price adjustment, such as a working capital adjustment. Insist that the buyer disclose any closing conditions to avoid later surprises, such as a financing or due diligence contingency. 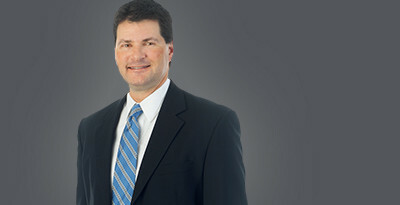 Be specific with respect to what sort of indemnification provisions would be contained in the definitive agreement, including indemnification limitations such as indemnification caps, baskets, or other limitations on post-closing liability. Negotiate a right to terminate the letter of intent and exclusivity in the event that the buyer attempts to renegotiate any of the material terms, such as purchase price. Try to describe the form of the transaction more generally to preserve flexibility as to whether to structure the sale as a stock sale versus an asset sale. Always try to include an express exclusivity provision prohibiting the seller from entertaining offers from any other prospective buyers for some period of time — usually 60 to 90 days.